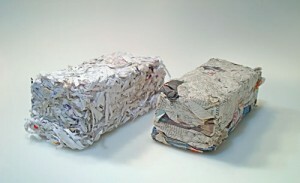 Why make your own paper logs? More importantly, what are paper logs? That's what I was thinking until a delightful So Organic customer told me all about her paper fire log creations. When compressed into briquettes paper can burn for hours and can be just as good a wood logs. All you have to do is soak your collection of paper in a bucket or sink until it turns to a mushy consistency. 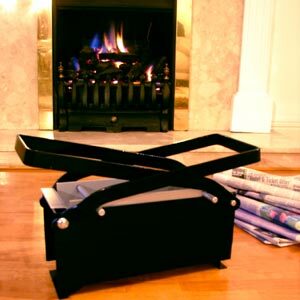 Then compress your pulp into logs using a paper log maker (see below - these are easy to use and quite affordable). The final step involves drying your briquettes. It takes a few months depending on the season for the compressed paper logs to dry but this is still shorter time period than freshly cut wood logs which also take some time to dry. Back to the question of why is it a good idea to make your own paper logs? Rather than throwing away the mountains of paper - wrapping paper, gift cards, disposable napkins, boxes that some gifts come in - we use at Christmas paper logs are a great alternative to sending it off to the recycling factory that still uses a lot of energy to re mould it into new rolls of wrapping paper. It is best however, to avoid glossy papers as these have greater amount of toxic dyes in them and can create nasty fumes. And no need to worry about your personal information being exposed as once you've shredded and washed the paper it's impossible to recover. Oh and then of course you burn it! So collect all those Christmas cards - we're sure the neighbours would be happy to give theirs to you - and start creating paper logs for those spring bonfires!